NASA researchers this summer and fall are carrying out three Alaska-based airborne research campaigns aimed at measuring greenhouse gas concentrations near Earth’s surface. They would be monitoring Alaskan glaciers, and collecting data on Arctic sea ice and clouds. 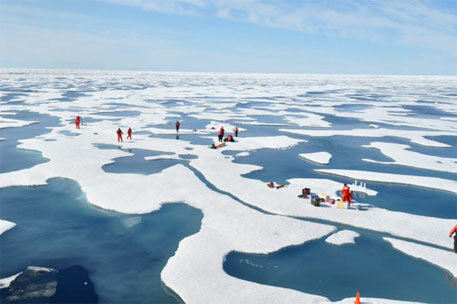 “Observations from these NASA campaigns will give researchers a better understanding of how the Arctic is responding to rising temperatures,” says a NASA press release. According to the international space agency, in high-latitude areas like Alaska, frozen ground known as permafrost can trap large amounts of carbon dioxide and methane produced by layers of decayed plant and animal matter. As permafrost temperatures have been increasing faster than air temperatures in the Arctic, scientists have questioned whether these heat-trapping gases could be released into the atmosphere, increasing their global concentrations.